Preheat oven to 180°c and line a small shallow tray with greaseproof paper. In a small bowl combine the honey and olive oil, then add the oats and mix. Spread the oat mix onto the greaseproof- papered tray and place in the oven (near the top), cook for approximately 5 minutes until lightly browned. Keep a close eye on these so they don’t burn! Place the remaining ingredients in a food processor and whizz until well combined. Add the honeyed oats to the food processor and mix to combine. 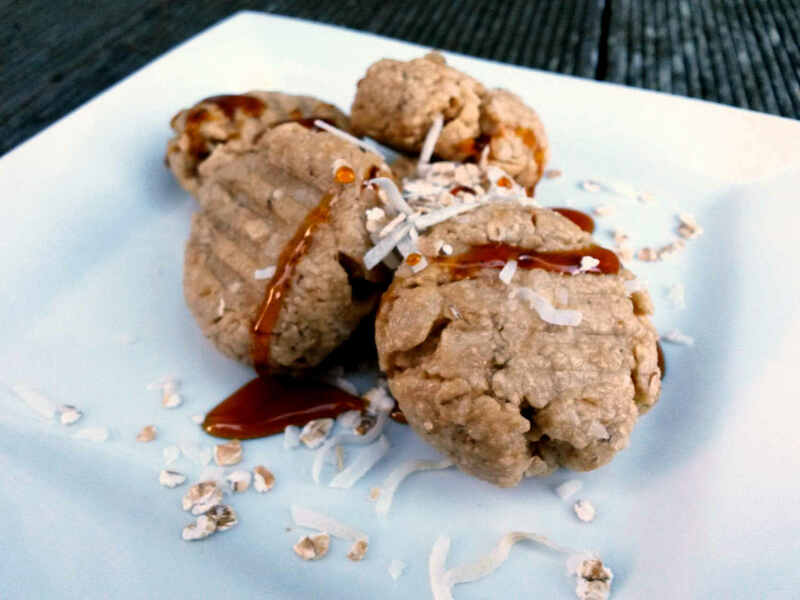 Shape into 24 bite-sized balls and press with a fork for that ‘cookie’ effect. Store in an air tight container in the fridge. 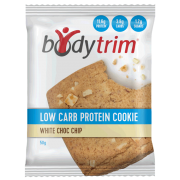 *1 serve of high protein, low carb powder generally contains 20- 25g of protein and minimal carbohydrates. 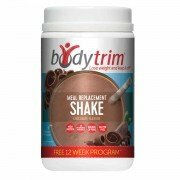 Note- Bodytrim meal replacement shake powder is not high protein, low carb. 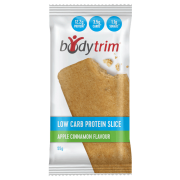 © 2018 Bodytrim - On Bodytrim, weight loss results are not guaranteed and vary from person to person. 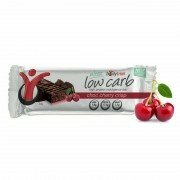 A healthy diet and exercise are recommended if you wish to achieve and maintain weight loss.